When Gabriel Jesus scored the winning goal against Southampton deep into second-half stoppage on the final day of the 2017/18 campaign, Manchester City's players and coaching staff celebrated as if that strike had won them the Premier League. In fact, the title had been sewn up for weeks, but Jesus' effort brought them their 32nd win of the season and took Pep Guardiola's men onto 100 points. It was an incredible achievement and set a new record in English top-flight history. 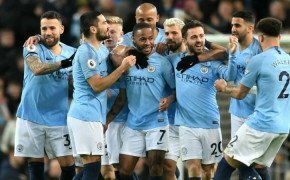 City also broke the 100-goal barrier by finding the net on 106 occasions (another all-time high), while they also finished with the most wins, most away wins (16), most away points (50), best goal difference (+79) and biggest gap to second place (19 points) in Premier League history. "Maybe this record will be broken but it will be difficult," Guardiola said after that victory at St Mary's. "What can I say, 100 points! We won 50 points at home and 50 away. It's massive. One hundred points is magnificent." It will still be difficult for City to reach that milestone again, but there is an increasingly convincing argument that the 2018/19 iteration is superior to what went before. Sunday's 3-1 triumph over Manchester United showed the gulf in class between the two rivals, and also moved the defending champions back to the summit of the standings following Liverpool's success against Fulham earlier in the day. 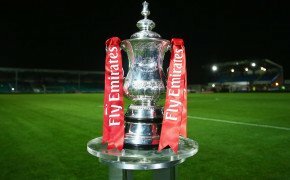 City have won 10 and drawn two of their Premier League fixtures up to now, with Liverpool and Wolverhampton Wanderers the only teams to deny them victory. They have scored 36 goals and conceded just five, giving them a remarkable +31 goal difference after 12 games. If they continue to collect points at the current rate, they will end the season on 101; if they continue to score at the current rate, they will have found the net 114 times by the middle of May. It is still early days, of course, but there is reason to believe that City are now even better than last season. Aymeric Laporte has been one of the standout performers of the campaign so far, having now fully settled in following his January move from La Liga. Riyad Mahrez provides another option out wide to challenge Raheem Sterling and, in particular, Leroy Sane, while Sergio Aguero has now fully earned Guardiola's trust after an uneasy spell early on. Frighteningly for City's challengers, we have barely seen Kevin De Bruyne in the opening three months, with the brilliant Bernardo Silva ensuring that the Belgian has not really been missed. Guardiola is known for his focus and intensity, and he was always going to make sure that standards did not slip at the Etihad Stadium this season. 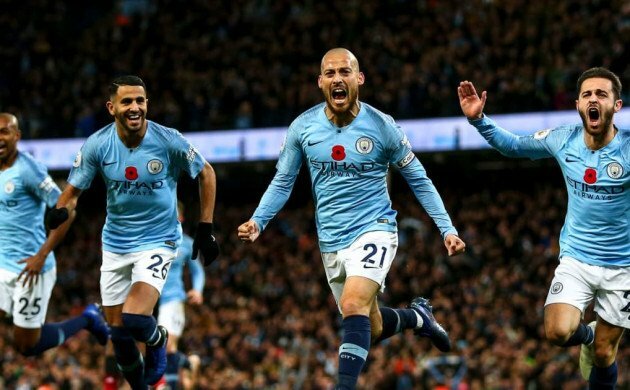 The Champions League will probably be the priority and that may affect domestic form once the knockout stage comes around after Christmas, but City have the quality and strength in depth to compete on both fronts. With almost a third of the campaign having elapsed, Guardiola's men look stronger than ever.